Editorial, Penang Monthly, July 2016. 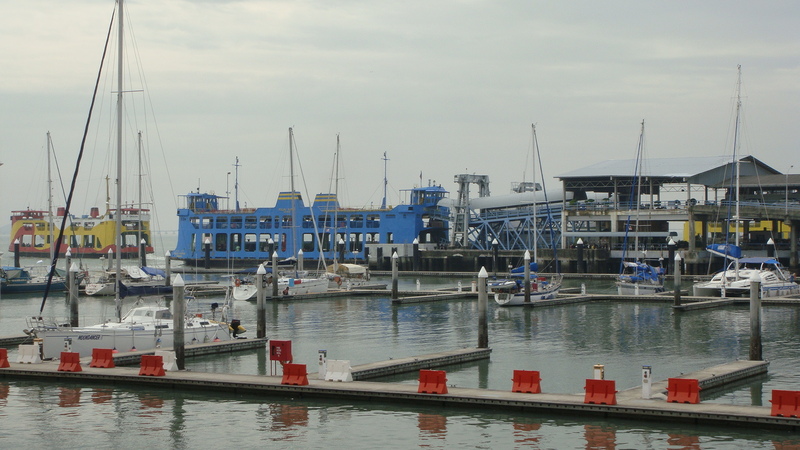 Penang’s free port status began eroding after the final boundaries of Malaysia were defined with the exit of Singapore in 1965. By 1974, the federal government had made it a thing of the past. Luckily for the state, the state government that was voted into power in 1969 had the boldness and imagination to press for the establishment of a free trade zone on the island. With Prime Minister Tun Abdul Razak’s support, Chief Minister Tun Dr Lim Chong Eu and his team quickly industrialised Penang in the 1970s. With that, Penang stayed intimately connected to the economic processes of the world – something that has formed its population’s identity ever since. With the side-lining of the port as the economic hub of the island, George Town’s waterfront lost its historical importance. And when Penang Bridge was inaugurated in 1985, passenger traffic using the ferry naturally dropped further, affecting not only the economic life of the old parts of the city but also its waterfront. But things are brightening up for the port area. Tourism may have been an important part of Penang’s economy for a long time, but with George Town’s listing as a Unesco World Heritage Site in 2008, the focus definitely moved to the old town. Heightened local pride and newly aroused global interest in Penang’s heritage meant an inflow of investments and tourists. The decay of the old town began to reverse. Of course, what this also means is that much that is old – and much of that “oldness” was what got Penang its valuable Unesco listing in the first place – came under threat. Will George Town become so gentrified by careless and uncomprehending investors that it kills its golden egg-laying goose? That is a question that keeps many awake today. In the midst of all this, the Waterfront is starting to awaken. And it may be the inspiration for an economic and aesthetic interplay of land with sea which can provide the right balance between the old and the new, the slow and the fast, luxury and modesty. The project of creating a 21st-century Penang identity that is based on – and that definitely must not deny – its enviable legacy of 19thcentury modernity is not going to be an easy one. Making Penang a model city requires its planners to consider where its strengths lie. I venture that the essence of iconic cities very often lies in how it appreciates its immediate watery environs – be this a river, a lake, a glacier or the sea. What is Paris without the Seine? London without the Thames? Geneva without its lake? Sydney without its harbour? Los Angeles without its bay? Stockholm without its archipelago? Istanbul without the Bosphorus? What of Penang? Our rivers are not big, we have no lake worth mentioning and our northern beaches do not make a splash. What we have are the city’s waterfronts. Waterfronts are not only about the nexus of land and sea. Penang actually has a strait fronted by two coastlines, not unlike Hong Kong. Having two waterfronts facing each other is a luxury. The potential for Penang to focus on its waterfronts as a foundation stone for its future identity is immense. This asset has been neglected so far. In fact, does the strait even have a name? In contradistinction, and as a reminder of how lucky a place like Penang is, Singapore is limited by the fact that it is surrounded by watery national borders and international sea lanes, and finds it difficult to strengthen the maritime connection of its population beyond condos with sea views and marinas for the globally wealthy. Penang, on the other hand, has waterfronts that can connect consciousness outwards into the sea and over to the other coast, and inwards onto streets that overflow with history and culture. What more does a visionary planner want?